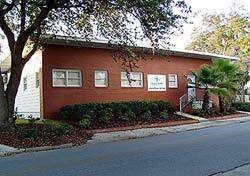 The Board approved demolishing this Authority owned former doctor's office and clinic. Mr. Berry began, "We need to talk about the lease on the West end of the buildin'. I just got some – unintelligible." Chairman Adams said, "We'll just put it under new business." Mr. Berry responded, "OK. Old business." Mr. Adams said, "Old business." Board member Lory Chancy added, "Unfinished." Mr. Adams said, "Unfinished. Whatever." 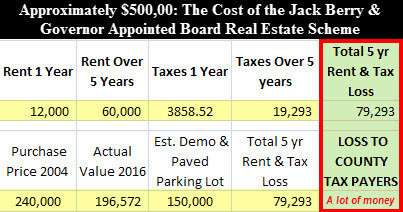 The Berry addition to the agenda was neither old business nor unfinished business, but new business, as Manager Berry sprung on the Board and the public a scheme to demolish another Authority owned building, saving Community Health Systems (CHS), $3,858 in taxes, and then offering CHS free space in the Authority Hdq. for which the Authority was receiving $1,000 a month rent from the County. Manager Berry had spoken to Asst. County Manager Scott Ward about the County's vacating of the West Wing. Manager Berry took the floor [as spoken]: "I just got off the phone with Scott Ward. We got a target date for them to move the first of August. I would like to, I would like the Board to -- I will give the Board a proposal that we move the accounting division for the hospital into that space and that the old -unintelligible- building, because that building is about to fall down anyway. And tear that buildin' down and look at puttin' a parking lot where that buildin' is now." Mr. Berry's old office in building to be demolished. The office worked fine. Shands at Lake Shore, the Authority owned hospital, is under a decades long term triple net lease to CHS. (triple net lease – CHS pays for everything). Community Health Systems is a Fortune 500 company based in Franklin, Tennessee. As of December 31, 2016, it was the largest provider of general hospital healthcare services in the United States in terms of number of acute care facilities. It is listed on the NY Stock Exchange and in 2016 it reportedly had revenue of $18.4 billion. Read more about CHS and its recent developments here. Mr. Berry prefers his new office in the un-needed million dollar plus Authority Hdq. The building was donated free of charge to the Authority by Columbia County. Manager Berry continued, "It won't be any difference in the rent, it just be transferrin' that space over there to this space over here." 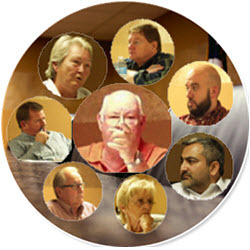 Board member Ron Foreman inquired, "It has no impact on the functionality of the hospital?" Mr. Berry answered, " No, they're all for it." Steve Davis, the CFO of the hospital added from the audience, "It would be better for us." This is correct, as the Hospital would no longer be obligated for the almost $4,000 it pays in taxes. Manager Berry continued, "They'll pay their own light bill; we'll cut that meter to them. They'll pay their own light bill and we'll furnish the water, but it's not very much anyway." Board member Waseem Khan asked, "Where's the building?" The building is handicapped accessible, was in good shape when occupied by CHS, and includes on-site parking. Mr. Berry answered, "The old asbestos and brick buildin' down here on the corner right in front of the hospital." The old building (brick front) is right down the block from the hospital. 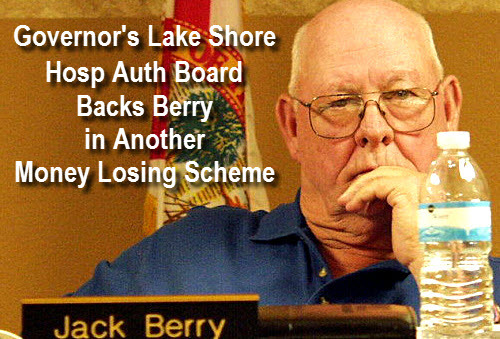 Mr. Berry did not explain, and the Board did not ask why, it was not for sale. The building is not in front of the hospital, but down the block from the hospital. Hospital Chief Rhonda Sherrod explained, "Behind the rehab building." Mr. Berry added, "The one story buildin' down here. That old buildin' behind it." Mr. Khan asked, "Do we have a price to knock it down?" Mr. Berry didn't have a price. "I'll get some bids on it," he said. Mr. Foreman asked, "So, what are you looking for the Authority to do tonight." "Approve doin' that basically. And then I'll get prices"
Manger Berry came unequipped to the meeting, having no estimates of revenue losses, tax losses, etc. Mr. Berry said, "Approve doin' that basically. And then I'll get prices before we tear the buildin' down." 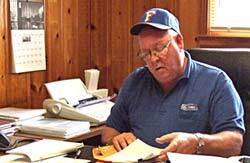 Mr. Berry said, "Movin' the hospital accounting offices down to here as soon as the County moves out." Mr. Khan asked, "Economic Development?" 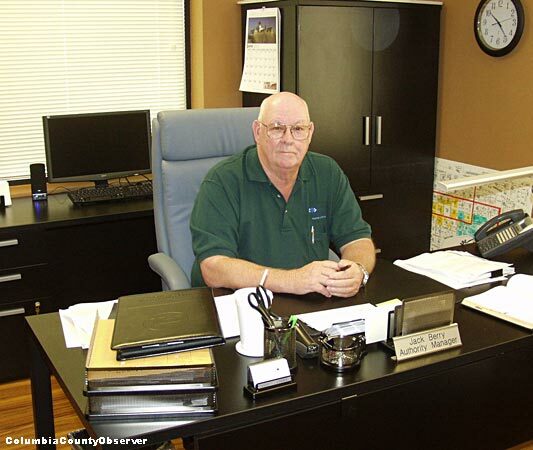 Mr. Berry answered, "Yeah, they're movin'...."
Ron Foreman is a local business man, he asked for no information and neither did the other Board members." Mr. Foreman said, "I make a motion to approve what Jack just stated." Board member Lory Chancy said, "I second... One of the major complaints is the parking." Mr. Berry added, "And that would alleviate some of the parking down there and throw it down near the empty parking lot, so it might work out good." The Board ignored the Authority's always empty one square city block parking lot and it was not clear if any of them knew where it was. The proposed parking lot is only 250 ft. from the grass/milling parking lot built by the Authority in 2012. It is never used. See: Lakeshore Hosp Auth Manager Obliterates Bid Process, Two Columbia County Commissioners Win Bids. The Governor's Board unanimously approved the demolition and Manager Berry's unwritten plan of building a new parking lot. Earlier today the Observer inquired of Lake City Code Enforcement regarding any code violations on the Authority building, parcel number 12113-000, and if the City knew that the "building was about to fall down." City Code Enforcement reported that there were no violations and the last permit issued was in 2004 for the HIVAC system and added, "If the building was about to fall down, the City would know." Lory Chancy - her main job appears to be not to answer questions and to protect Columbia County's legendary political operative, Jackson P. "Jack" Berry (in the middle).